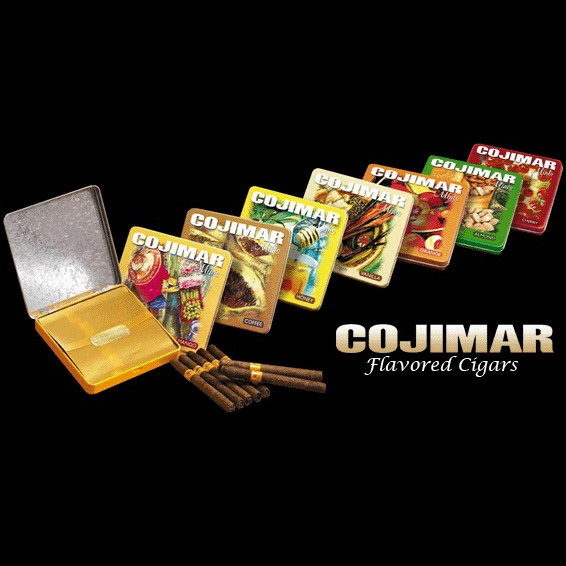 Cojimar Flavored Cigars are solely made with the finest tobacco grown in the Dominican Republic. These sugar tipped cigars are a mild-bodied treat, infused with a large variety of flavors. Even Kaizad Hansotia, owner of Gurhka Cigars, says, "Cojimar is the no. 1 flavored cigar out there." So if you are in the market for Flavored Cigars, Cojimar cigars are a great selection.